A Dolores man involved in a two-hour standoff with police in Durango and is wanted on several felony warrants for weapons and menacing offenses will be extradited to Cortez after being arrested last week in St. George, Utah. John Finocchiaro was arrested Friday after officers were called to a family disturbance. On Monday, he was in custody at the Purgatory Correctional Facility in St. George. A spokeswoman at the jail said he will be extradited to Cortez. Finocchiaro was booked into the St. George jail Friday on suspicion of two felonies, including possession/receiving a stolen vehicle and damage to the jail. 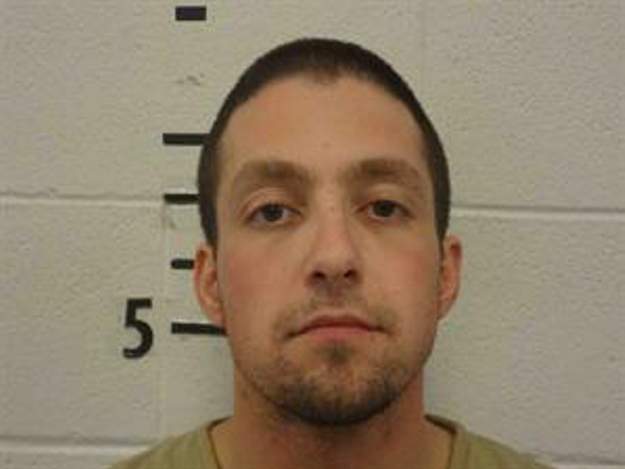 On Feb. 3, the Montezuma County Sheriff’s Office arrested Finocchiaro in Dolores as a felon in possession of a firearm. According to the incident report, Finocchiaro became agitated as officers placed him in a patrol vehicle, and he slammed his head against the cage. At the hearing, Montezuma County Judge JenniLynn Lawrence expressed concern for public safety, particularly after Finocchiaro had been charged with possession of a weapon by a felon.